Thus supplying current to field winding is called excitation and the way of supplying the exciting current is called method of excitation. In separately excited generator, a separate external d.c. supply is used to provide exciting current through the field winding. 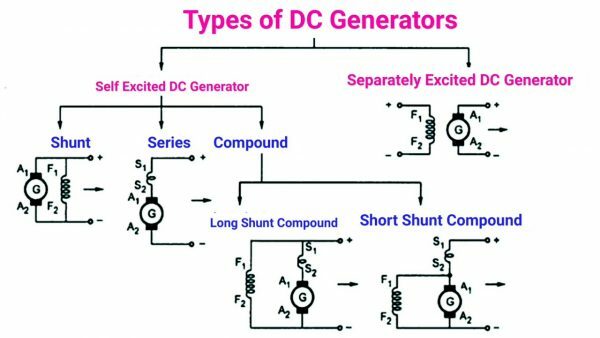 a) Shunt generators b) Series generators c) Compound generators. In shunt the two windings, field and armature are in parallel while in series type the two windings are in series. In compound type the part of the field winding is in parallel while other part in series with the armature winding. The compound generators are further classified as long shunt and short shunt compound generators. The overall classification of d.c. generators is shown in the Fig. 1.